So here we go... finally. The FF210 Buggy is ready for production! On behalf of ORB Racing I'd like to say we're ready to share the front-wheel-drive experience with you – now the question remains: are you ready? The FF210 is a conversion kit that turns the Team Durango DEX210V2 and DEX210 into a competitive front-wheel-drive buggy for low-medium bite surfaces such as dirt, outdoor clay, grass and wet astroturf. What makes the FF210 unique? The front-wheel-drive concept offers higher cornering speeds than rear-wheel-drive buggies whilst also maintaining better stability, resulting in a car that is both consistent and quick. In addition to that, the majority of the car is made with state-of-the-art materials and production techniques, amongst which the use of additive manufacturing. What’s does the kit consist of? In the kit are nylon 3D components (dyed black), carbon fibre composite plates, a clear polycarbonate bodyshell and some small parts and hardware. In addition with a (separately available) Team Durango DEX210V2 donor vehicle and electronics, you can build the FWD Buggy. With addition of a few parts, the conversion kit is also compatible with the DEX210 (details available in the price list, see at the end of the post). I am interested. How do I go from here? We have opened up a pre-order until the 25th of August for the first batch. The kit and parts are directly available from us by email: Orbracing@gmail.com (Please not through PM, my inbox is pretty full). We are also working to get a webshop online as soon as possible - until that time, the price list is available through this link. PS @ Mods: I have thought about whether to place this under sales or here, and in the end I thought the FWD project would be more appropriately placed in this 'DIY' section, as here people can reply to ask questions and discuss the car. If you feel otherwise, could we discuss an appropriate solution? Last edited by Origineelreclamebord; 14-08-2015 at 09:16 PM. - Conversion kit: €350 / £250 / $390. - New DEX210V2: €250 / £180 / $280. The total (using a new DEX210V2) comes in at €600 / £430 / $670. Keep in mind that there are plenty of parts from the V2 that you can sell on again, amongst which nearly the entire front and rear suspension and the bodyshell, which form a useful spares package for DEX210 users and should therefore prove easy to sell. Last edited by Origineelreclamebord; 18-08-2015 at 07:43 AM. Isnt this just like the an old tamiya? 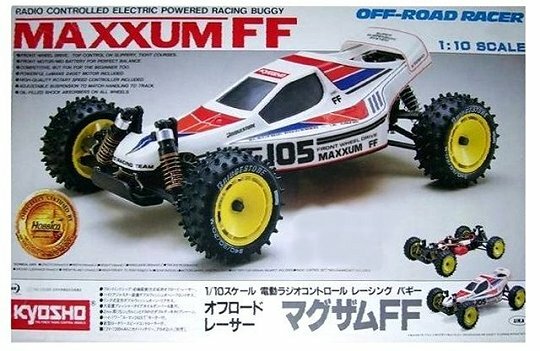 I don't recall Tamiya ever made a front-wheel-drive buggy. I did use Tamiya's in my first two prototypes and they too had the motor up front... but that's where similarities end. I hope this answers your question, but if not, could you clarify what you mean? Not really any worse than things like the b4 conversions or the cobra, neither of which have as much custom design as this one. I've been popping in and checking on your progress with this buggy for several years now. So happy for you that you've got it to production. - The manual is ready. The online version can be downloaded here (click). - The start setup is also available here (click). - PetitRC already has a page dedicated to all FF210-related items here (click) It should form a nice platform for the FWD-owners to exchange info! As for production: some parts have already arrived, some are still in production. These are exciting times and I personally can't wait to ship out the first batch of cars! 1. Through one of our customers, we came in contact with GForce and after some conversation, the idea to enter a partnership: They would promote our products in Japan, whilst we will promote their products here! 2. We have been featured in 'RRCi' magazine in 2015; a feature in the Japanese magazine 'RC World' followed suit! 3. We are eager to receive feedback to improve the FF210 to a higher standard. Since the release, we got feedback that the durability of the front suspension could be improved, so recently we applied running changes in the C-hubs and front arms that will reinforce the front suspension. 4. As part of our support programme for the FF210 we have looked into the compatibility with the DEX210V3. The DEX210 V1/V2 front and rear axles (TD330349 and TD310254) are replaced with new parts in the DEX210V3, and these new parts are not compatible with the FF210 kit yet. However according to our sources, the first batch of DEX210V3 kits contains the DEX210V2 components as well. This means the first batch of V3 kits should contain the parts required to make the FF210 conversion (#7001). For later batches of DEX210V3 kits, the V1/V2 front and rear axles should be purchased seperately. We are currently looking into the possibility to make the FF210 compatible with the new 12mm hex axles and multi-axle system of the DEX210V3. In the meantime, if you are looking to build your FF210 from the DEX210V3, we recommend that you check with the seller if the DEX210V2 parts are included, or you purchase TD330349 and TD310254 seperately in order to perform the conversion. Looking ahead, we are gradually expanding our customer base of the FF210 and our goal is to continue that trend and introduce and enthuse people about the FWD concept. Last edited by Origineelreclamebord; 10-02-2016 at 07:28 AM. Three-and-a-bit weeks ago was the last race of the MAC Vlijmen Winter Championship. All pieces just fell into place that Sunday: An updated car setup that hit the sweet spot, the GForce electronics dialled in nicely and consistent, agressive driving to score TQ, win and the 2015/16 2WD championship title to prolong my 2WD championship win in 2014/15! The competition consisted of some of the best drivers in the Netherlands and Belgium and I'm over the moon with the result! Last edited by Origineelreclamebord; 24-03-2016 at 10:12 PM. That is seriously loose and bumpy. There are no tracks like that in the UK that I know of. Looks more like you are running on a beach. I must note these track conditions don't reflect what we usually drive on 'across the pond,' most of it is outdoor clay and astro; usually somewhat bumpy, but not nearly this bad! The club I race at - MAC Vlijmen - organizes a championhip on dirt every winter and it's an absolute blast! It's a unique, challenging and fun experience, I definitely recommend everyone to try it some time! I've got something worth sharing... I've bested my best personal result in the Belgian Championship, qualifying 7th overall and also finishing 7th in the finals at the second round at MAC Vlijmen! About 15 drivers all had a good shot for the A-final and I'm thrilled to battle up front in such a closely matched field!